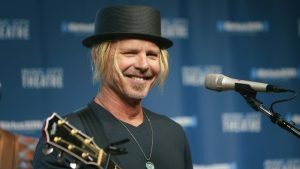 The first time Jeffrey Steele heard country music in person was at the Palomino Club in North Hollywood. His father would take Steele, then about 9 years old, to the weekly Palomino Talent Show, where he saw legends like Waylon Jennings, Johnny Cash and Buck Owens play to crowds of a few hundred people. Years later, Steele, who today is a Nashville Songwriting Hall of Famer, got his start playing country music in the Palomino’s house band.